Privacy-vacature.nl is de vacaturebank voor privacy officers. Ken jij de risico's van de verwerking van persoonsgegevens, de wettelijke eisen die er aan gesteld worden en de consequenties hiervan? Dan zit er vast en zeker een vacature voor je bij! 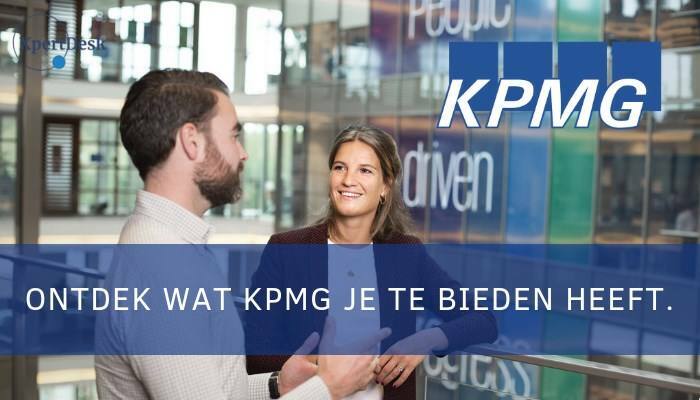 We are looking for experienced professionals (3 to 6 years) with extensive privacy and information security knowledge to extend the Information Protection Services team within KPMG The Netherlands. Information Protection Services is a team of specialists at KPMG. We help our clients in the broad spectrum of information security and data privacy, ranging from security/privacy strategy and awareness, privacy compliance frameworks, identity and access management, to ethical hacking and incident response. Our specialists strive to be the very best consultants, who can advise our clients on the most complex information security and privacy issues. Preferably you hold one or more privacy or security related certifications (e.g. CIPP/E, CISA, CISSP). Experience in consultancy is not mandatory, but we do expect an entrepreneurial and client-focused attitude from you. As a (senior) consultant, you will be the privacy expert in engagement teams. Also note that our team has a very international character, so fluency in English is a requirement. We offer our services to the top end of the market, in The Netherlands and abroad. We work at places where information security and data privacy really matter, such as large financial institutions, government institutions, multinationals including consumer retail, the oil & gas industry and defense contractors. Our team of professionals is best-in-class and will challenge you to get the best out of yourself. Of course, we offer internal and external training to help you reach this goal. But most of all, we are a very close and fun team, that you can be a part of. Graag ontvangen wij je sollicitatie voor de vacature van (Senior) Consultant Privacy & Security - Cyber bij KPMG in Amstelveen inclusief CV via deze directe sollicitatielink. Meld u aan voor onze vacature alert en ontvang een e-mail als er nieuwe vacatures zijn geplaatst. Alle organisaties in de publieke en private sector moeten voor 25 mei 2018 hun bedrijfsvoering in overeenstemming brengen met de Europese Privacy Verordening. En dus is er een grote vraag naar privacy specialisten die verstand hebben van alle facetten van data protection, datalekken, gegevensbescherming, privacy beleid en privacy impact analyse. Wat doet een privacy officer? Privacy-vacature.nl is onderdeel van CareerGuide. CareerGuide beheert diverse specifieke, doelgroepgerichte vacaturebanken binnen de financiële dienstverlening en de financiële vakspecialismen. Wij richten ons op het zo compleet en informatief mogelijk presenteren van vacatures en de daarbij behorende organisaties.